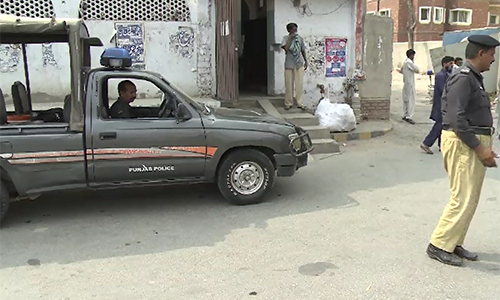 LAHORE (92 News) – Four terrorists belonging to a 20-member gang were arrested in Lahore on Saturday. The arrested terrorists were identified as Zubair Bashir, Ghulam Rasool, Malik Haq Nawaz and Malik Usman. They are involved in over 76 cases of terrorism and target killing registered in Southern Punjab. Sources said that the 20-member gang provided shelter to the terrorists belonging to Tehreek-e-Taliban Pakistan. They said that the terrorists were also involved in bomb blasts in Imambargahs.